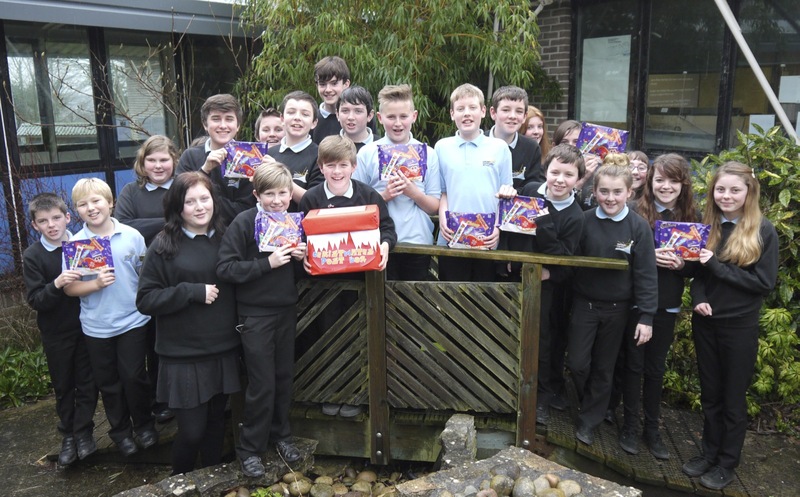 This year, rather than opening daily advent calendars, students from saltash.net community school were treated to something even more exciting by the Mathematics Department – a daily Maths puzzle. On each of the 14 school days in December students were able to open a different Maths challenge in tutorial time, and, after completing the task, could post their answer in the “ChristMaths Post Box”. The challenges offered a huge range of challenges, from basic multiplication to finding means and modes, and one question to stretch even the brightest of students. The event was a huge success with over 2500 entries across the competition. Each day a winner was drawn and that student was awarded the prize behind the door – a selection box. The competition, however, was also heavily fought between forms, with two forms 9WP and 10AL both claiming two winners each.